Flint Mobile’s (see disclosure) payment card reader doesn’t have the elegant design of Square’s now famous Reader, but then again it doesn’t have any design at all. Flint’s reader is already built into every new iPhone and Android device sold today: their camera sensors. Flint hopes to distinguish itself from Square and PayPal(s ebay) by building a mobile credit card payment service sans hardware. Instead it’s relying on the phone’s camera and its software to process transactions, and it’s being helped along by a $6 million series B funding round led by Digicel, a privately owned mobile carrier operating in 31 countries. SVG Ventures also particpated along with True Ventures and Storm Ventures, which funded Flint’s $3 million series A round. The service works by holding a credit card or debit card in front of the phone’s camera until its numbers are aligned with Flint’s scanning field. The app then sends the credit card data off Flint for verification and processing – without storing any info on the device – the customer signs for the purchase on screen and Flint emails a receipt. Flint charges the merchant a flat rate of 1.95 percent for debit transactions and 2.95 percent for credit cards. 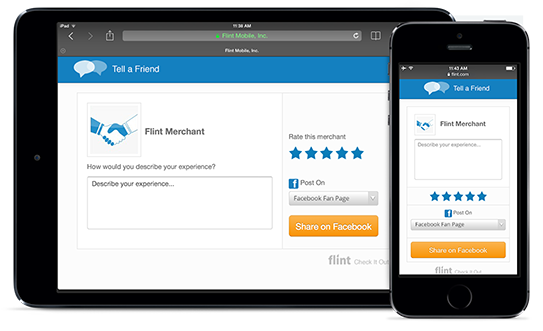 Like Square and PayPal Here, Flint is also going after small and mobile business owners who typically wouldn’t accept plastic because of the hefty equipment and transaction costs. But Flint is betting a payments service that doesn’t require those businesses to procure any hardware or peripherals would be even more appealing. And Digicel’s strategic investment is a good indication where those future customers may be, even though its service works exclusively in the U.S. today. Owned by Irish billionaire Denis O’Brien, Digicel has become the dominant mobile operator in the Caribbean and has operations in Central America and on Pacific islands as well. In developing markets mobile operators have increasingly taken on the role of financial services companies for their customers, many of whom have no access to traditional banks — Digicel is no exception. Consequently it wants to identify and support mobile payment innovation that could benefit its customers, said Damian Blackburn, Digicel Group Business Development Director. “We believe that a pure digital app model to enable payments is an inevitable market shift in the same way that digital cameras and handheld GPS devices have become mobile apps,” Blackburn said in a statement. While creating a payments service that can be downloaded, installed and activated in minutes would definitely appeal to many, Flint isn’t quite the Square-killer it makes it out to be. 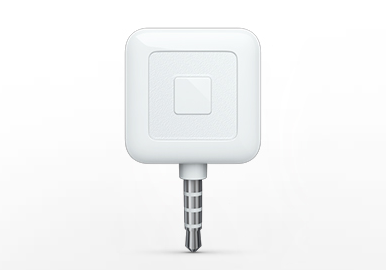 Square’s Readers aren’t exactly difficult to find in the U.S. and their $10 cost is refunded once you activate an account. Today at least, consumers are a lot more comfortable seeing their cards swiped than photographed. But Square’s international expansion is very slow. If Flint does plan to go into Digicel’s markets, it could only benefit from the service’s ease of distribution and installation. So I guess the next question Flint faces is a simple one: When is it going to open up shop in Jamaica? Disclosure: Flint Mobile is backed by True Ventures, a venture capital firm that is an investor in the parent company of Gigaom. Om Malik, founder of Gigaom, is also a venture partner at True. PayPal Here does that already.